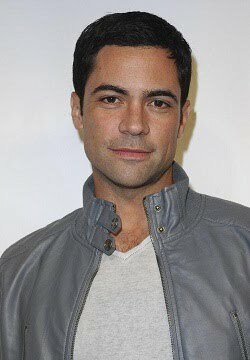 New Yor k, New York-- Danny Pino has just been added as an honoree for the Twelfth Annual HOLA Awards. The Awards Gala and Benefit will take place on Monday, October 17, 2011 at 6:30pm at The Battery Gardens on the waterfront in New York’s scenic Battery Park (opposite 17 State Street). Sponsorships slots are still available and range from $10,000 for a silver sponsorship to $50,000 for the Presenting Sponsor. A limited number of individual tickets are available at $150. Danny Pino, the newest star of the NBC television series "Law & Order: Special Victims Unit," will receive the HOLA José Ferrer Tespis Award. Pino's past work across film and television has served to propel him into his new role on "Law and Order: SVU," one that places him squarely in the ranks of the much beloved current and past actors who have left indelible marks on this hit TV franchise, and the television landscape as a whole. He joins previous HOLA José Ferrer Tespis Award honorees Olga Merediz, Raúl Esparza, Kamar de los Reyes, John Ortiz, Luis Antonio Ramos and Robin De Jesús. Pino joins actor Luis Guzmán (HOLA Excellence in Film Award), singer-actor-humanitarian Rubén Blades (Raúl Juliá HOLA Founders Award) and broadcast journalist Natalie Morales of NBC’s “The Today Show” (HOLA Excellence in Media Award) as 2011 HOLA Award honorees. In addition to the above awards, HOLA will also continue its yearly tradition of honoring the best of Latino theater in New York with noncompetitive awards encompassing multiple winners in each category. HOLA is at the forefront in recognizing the high caliber work being offered across New York’s thriving Latino theatrical stages and, in that same spirit, is recognizing entertainment veteran Teresa Yenque with a Special Recognition Award for her over 40 years of excellence in the entertainment industry. To see the list of the 2010-2011 theater awardees, click here. In accession to the aloft awards, HOLA will aswell abide its annual attitude of anniversary the best of Latino amphitheater in New York with noncompetitive awards encompassing assorted winners in anniversary category.